Phyllis Schwartz and Edward Peck use plant-based materials to create works of art that speak to issues of permanence and impermanence that challenge the viewer to contemplate time, form, and the ephemeral. Phyllis Schwartz uses hybrid camera-less process to create photograms that leaves traces and shadows on photosensitive surfaces. Plant enzymes and atmospheric conditions interact with creating alchemical results on the surface of the paper and sheet film, leaving X-ray like marks of shapes and interiors. These Lumen Prints are primal hovering on the cusp of poetry. Edward Peck’s series, Arrangements, addresses the transitional processes found in nature and our esthetic manipulation of natural objects through the discarded floral arrangement. The moment we perceive beauty fades, the beauty is not lost what follows has its own striking beauty and relationship to the natural cycles around us. His hybrid photograph processed images work with the symbolism of flower arrangements exploring the beauty that extends beyond their symbolic use. Past EventsFor past sassamatt projects, exhibitions and collaborations Click Here. The workshop is participating in the 2019 Capture Photography Festival and is supported by London Drugs Printing Grant. In this workshop, the lumenprint (photograms made without a camera) image making process will be explained and demonstrated. 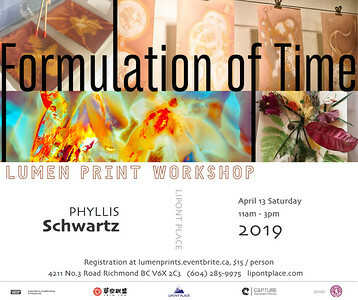 Phyllis Schwartz explains, “In this hands-on workshop, participants will make photograms of plant materials, and discover how they leave marks and traces on photosensitive paper; the work will look like colourful x-rays.” There will be an opportunity to participate in the entire process beginning with gathering materials, composing two images and developing two prints (8 x 10 inches). The workshop extends the concept of analogue photography as the pencil of nature. Schwartz rediscovered this process while studying the Victorian botanists who sought a method of documenting their fieldwork. Lumen Prints are both photographic and x-ray like, producing both documentation of nature and artistic renderings of botanical specimens. Phyllis Schwartz is a multi-disciplinary artist who works in photography, ceramics and publishing based in Vancouver, Canada. Her work at Emily Carr University consolidated these interests with a concentration in photography. She was the recipient of the Canon Photography Award. As a visual artist, she seeks detail, texture, and poetic elements. She uses photography to investigate and record what eludes the eye. Her photography has been exhibited and published across Canada and internationally; her works are in both public and private collections. 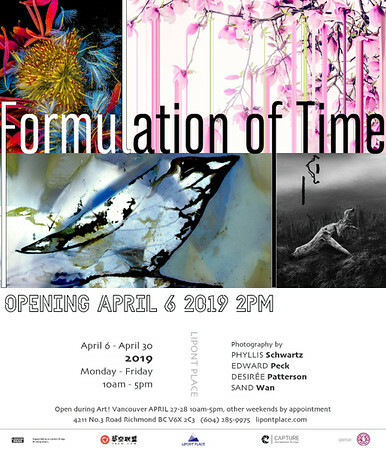 This workshop is presented in conjunction with exhibition Formulation of Time – Photography by Phyllis Schwartz, Edward Peck, Desirée Patterson and Sand Wan, which is on view from April 6 – 30, 2019 Monday - Friday 10am-5pm weekends by appointment. Also open during Art! Vancouver on the weekend of April 27 - 28, 10am-5pm. Presenting artists Katherine Duclos, Pierre Leichner, Edward Peck, and Phyllis Schwartz incorporate organic and plant-based materials, as well as natural processes to help shape the outcomes of their compositions. 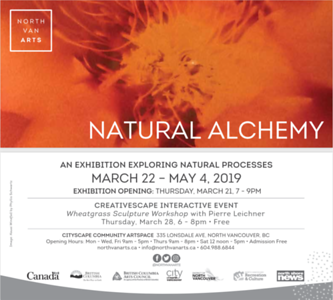 Through painting, printmaking, installation and photography this exhibition highlights the beauty, connectivity and impermanence of the biosphere and geosphere, helping us to understand how growth, decay, and geological processes play a vital role in shaping our environment. For past sassamatt projects, exhibitions and collaborations Click Here. 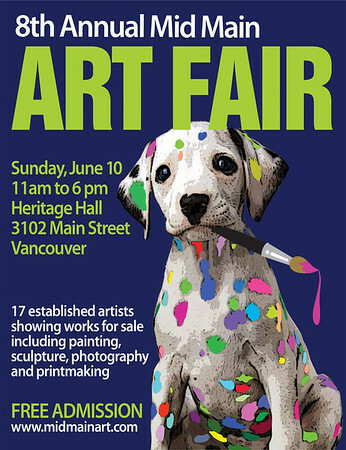 Sunday, June 9, from 11- 6 p.m.
3102 Main Street, Vancouver, BC V5T 3G7. 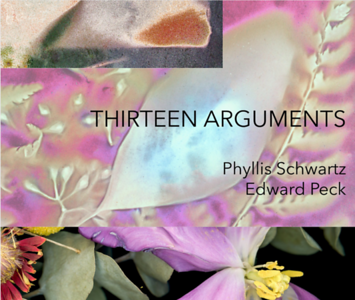 Thirteen Arguments is a new photography book containing thirteen images form Phyllis Schwartz and thirteen images from Edward Peck that are part of a collaborative process of using organics in an abstract aesthetic dialogue. To Order on Line Click Here. Sassamatt Publications at Blurb feature exhibition catalogues, photographic records of artists residences, illustrated memoirs, ceramics history and psychology. Many of these publications are collaborations with our artistic community, and we look forward to collaborating with this diverse group of individuals. 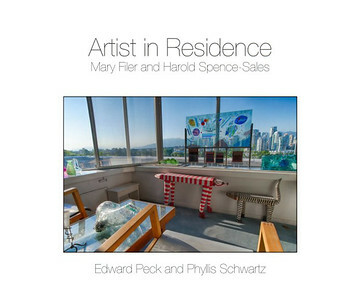 As curators, Edward Peck and Phyllis Schwartz engage local and international artists in conversations to develop exhibitions. They offer participating artists the opportunity to collaborate and develop a body of work for exhibition. This collective approach invites diverse artists to work together: creating opportunities for collaboration and conversations about artist practices, the creative process and community engagement. Out of this process, a thematic approach to each exhibition develops.